TreasureFest is celebrating its 7th birthday! 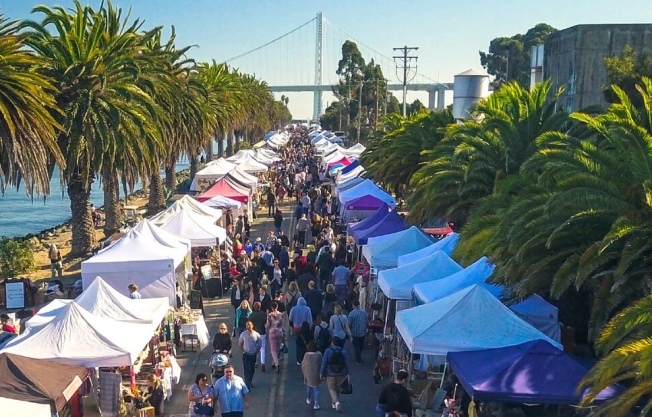 This May 26th and 27th will mark the 7th year anniversary of the popular and eclectic monthly market known as TreasureFest, held on treasure Island! Originally launched with the mission to be an affordable platform for local entrepreneurs, TreasureFest has grown into a true local's event featuring the best the bay has to offer. From local food beverages, to art, fashion and more! There is always something for everyone to explore. The TreasureFest Birthday Bash will feature FREE celebratory tote bags to the first 2000 attendees each day. FREE birthday cake (while it lasts) at 1pm each day, creepy clowns, happy hour cocktail specials and much more!